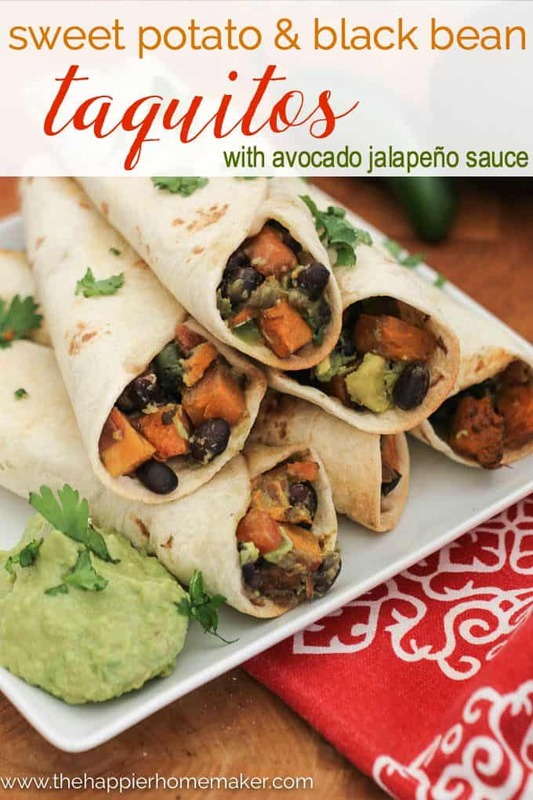 My husband and I have been talking about trying more Meatless Monday meals lately-remember the Sweet Potato Black Bean Taquitos I posted recently? It’s been an easier adjustment that we thought it would be-and helpful both for our budget and our health! 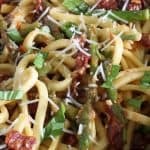 This Sun Dried Tomato Asparagus Vegetarian Pasta is a winner in particular-it’s so packed full of flavor that you won’t miss the meat a bit! Add tomatoes (in oil) and garlic to large saucepan over medium high heat and cook until garlic is fragrant, about 1 minute. Add the asparagus spears, milk and cheese. Continue to cook on medium heat stirring constantly until cheese is melted, then reduce heat to low and simmer 5 minutes. Toss with pasta and garnish with chopped fresh basil if desired. 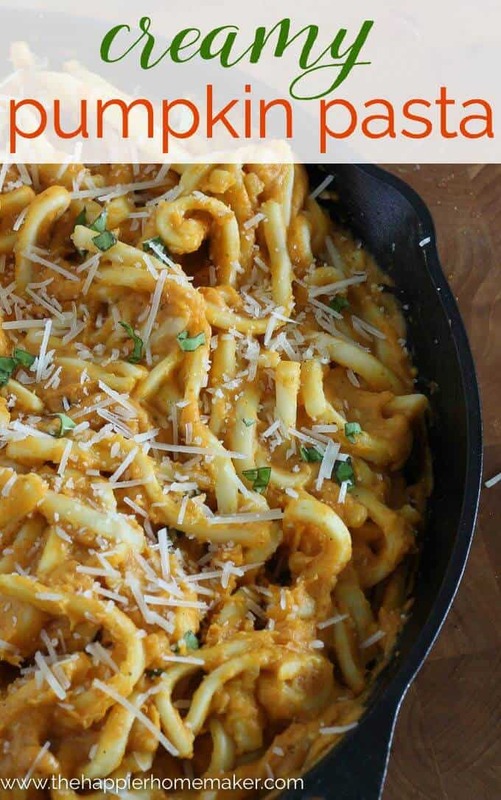 I really recommend choosing a nice, high quality pasta for this-the amazing flavor deserves it and it makes a very big difference in the final product! Have you tried Meatless Monday in your family? What are your favorite types of meatless meals? I’d love to hear your ideas in the comments-I’m always looking for new recipes to try! 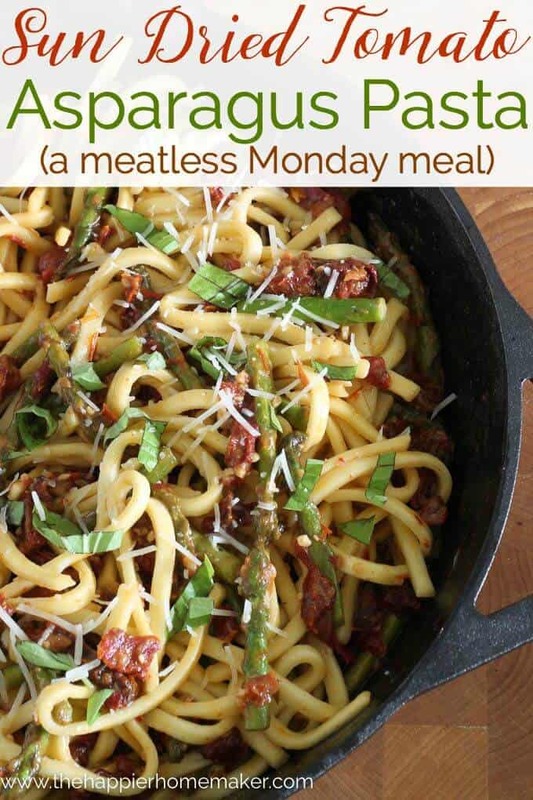 This flavorful pasta dish is just what the doctor ordered for Meatless Monday vegetarian dinners! 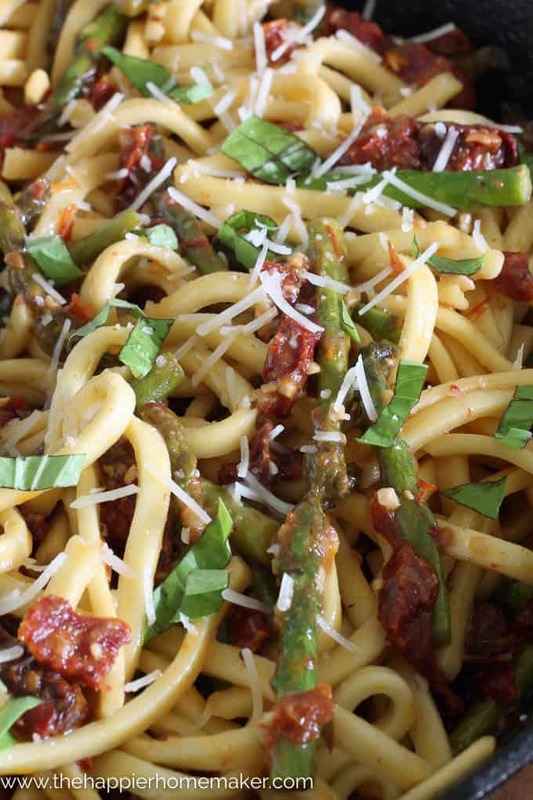 Combine sun dried tomato with asparagus and a light, cheesy sauce for a meal that’s sure to please-no meat needed! Add tomatoes (in oil) and garlic to large saucepan over medium high heat and cook until garlic is fragrant, about 1 minute. Add the asparagus spears, milk and cheese. Continue to cook on medium heat stirring constantly until cheese is melted, then reduce heat to low and simmer 5 minutes. Toss with pasta and garnish with chopped fresh basil if desired.